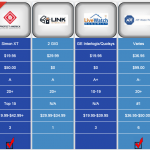 The following Alarmforce Reviews rate Alarmforce Home Security in 5 different categories. There is much concern among Alarmforce customers on how they will be impacted by the recent acquisition by BCE. If you already have AlarmForce Security please share your experiences with our readers below. Alarmforce Reviews are summarized below. To provide actual customer AlarmForce Reviews…please scroll to the bottom of the page. Your review will be combined and aggregated into a customers score and provide valuable insights for our readers. An affordable no frills, full service security company. Alarmforce Security is a Canadian based company, founded by Joe Maitlin in 1988. They introduced their services to the US in 2004 in North Carolina and now also protect homes, businesses and families in Florida, Ohio and Minnesota. Alarmforce has been acquired by BCE, Canda’s largest communications company. US Alarmforce customer base was sold to SelectSecurity and Alarmforce has ceased to operate in the US. Online Alarmforce reviews indicate that there is concern with the inevitable issues that are typically inherent in mergers and acquisitions. 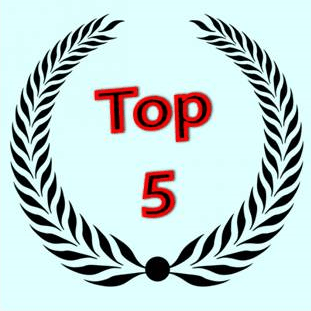 Consequently, re recommend that you consider alternatives from our top alarm companies. Alarmforce operates their own monitoring center based in Toronto, Canada. Their basic monitoring is $25, and includes 2-way voice authentication through a landline service. An add on with most security companies, this allows direct communication with the monitoring center in the event of an alarm event. Alarmforce utilizes their own proprietary “App” that provides basic interactive functionality to the system. While enabling the user to remotely connect to the system, it does not have some of the more robust interactive features found in some of our Top Alarm Companies -such as home automation scheduling, geo fencing and crash and smash. CellWave is the Alarmforce Cellular Communication Service. You can combine the two services effectively creating an interactive, cellular system, for $41.98 with an installation fee of $178.99. Alarmforce also markets an autonomous, self-contained wireless medical alert system which is sold separately. It is comprised of a base unit, which is equipped with two-way voice capability and a panic button which can be worn either as a watch or pendant. The basic service is $28 mo, and for an additional $4.95 the package will include a more sophisticated panic device which will detect a fall, and automatically send a signal. One of the unique aspects of Alarmforce is the fact that they are a vertically integrated company that manufactures, installs and monitors the equipment. Consequently, their equipment is proprietary and is essentially leased to the customer-and must be returned if one cancels after the contractual obligations are satisfied. Their basic package is free, with a 3 Year contractual obligation of a minimium $25/mo., and includes. The Alarmforce philosophy eschews the use of door/window contacts-claiming that they are comparatively inefficient and less cost effective than motion detectors. I am not sure that this is as much of a philosophical position or one that is designed to compensate for their relatively high cost of $69 for their door and window contacts. Motion sensors are fine when one is away from the home, but are typically not armed when one is home and wishes to protect the occupants of the home. Additionally, the Alarmforce motion detectors do not incorporate pet immunity technology, resulting in less effective placement to create “pet alleys”, and are potentially more prone to false alarms. While attempting to keep costs down by manufacturing their own products is an admirable objective, the natural consequence is that product line is less robust and the technology is less innovative and somewhat antiquated when compared to the more state of the art equipment offered by most of the competition. They do offer a rather unique product called video relay. This is a weatherproof video surveillance camera combined with a motion detector that incorporates interactive notification and 2-way voice capabilities. It will identify someone approaching the front door, e-mail a photo to your cell phone and support live, 2-way communication through your cell phone. Video footage can also be archived, at an additional cost. Alarmforce mantains an A BBB rating, and with almost 150,000 customers, they do a reasonably good job resolving serious customer complaints and issues that are filed with the BBB. A thorough investigation of online customer rating and feedback reveals a number of concerns with the attitude and indifference of customer service and billing- especially in regards to cancellation. This is likely result of their auto-renewal clause (a clause in which a customer must typically provide 30 day written notice or the contract automatically renews-resulting in full liability for the terms of the contract extension)and/or the requirement that all equipment be returned when the monitoring is cancelled. Alarmforce Security offers a relatively affordable and simple approach to home security. They provide professionally installed security systems….and are able to keep up front costs and monthly monitoring costs competitive by manufacturing, installing and monitoring their products….and LEASING them to their customers. As a result, the customer never owns the equipment, (which is somewhat simplistic and antiquated) and has nothing to show for their investment…even after years of service-and possibly having paid hundreds for upgrades. Customers are responsible for returning the equipment in working order…or they will be charged the original equipment costs. This can result in hundreds of dollars in equipment charges if equipment is not returned. Alarmforce is a reasonably good value if you are looking for a simple, professionally installed security solution, reside within a fairly limited service area (USA)…and pay careful attention to your contractual obligations. Please feel free to offer your comments, feedback on our Alarmforce Reviews or share your experience with alarmforce, below. In light of the fact that AlarmForce has been acquired by BCE, , many AlarmForce reviews are indicating that there may be cause for concern with billing and service issues while the companies work out the bugs associated with such a complex aquisition. Consequently, existing and prospective alarmforce customers might be wise to consider alternative options. A professionally installed system which might be a great alternative to Alarrm Force y is Vivint. Vivint security enjoys the #3 in the SDM Top 100. They have recently launched a new Flexpay equipment option to minimize up front costs/ It allows prospective Vivint customers to finance the equipment over 42-60 months. Moreover, if you elect to purchase the equipment out right, Vivint even offers you competitively priced monitoring with no contract required. Armorax DIY or Alarmforce Professional Install? 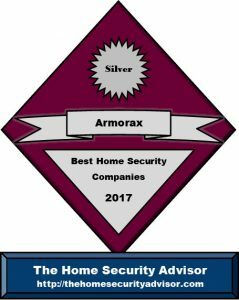 Alarmforce Security Systems are professionally installed, where as Armorax is a DIY Alarm company. With Alarmforce Security, a basic landline system is installed for free. A basic interactive cellular system (without all the bells and whistles that Armorax offers) will run $178.99. Alarmforce Security add on sensors are also more expensive. There is little transparency on the site, but professionally installed sensors typically cost about twice as much as their DIY counterparts. Comparing apples with apples…comparable monitoring plans are almost twice as much as Armorax-without any advanced features! In addition to the $178.99 install charge, Alarmforce monitoring rates can run up to $41.98. Armorax offers many more features…for about half the price…with no up front fees-and a far superior system! 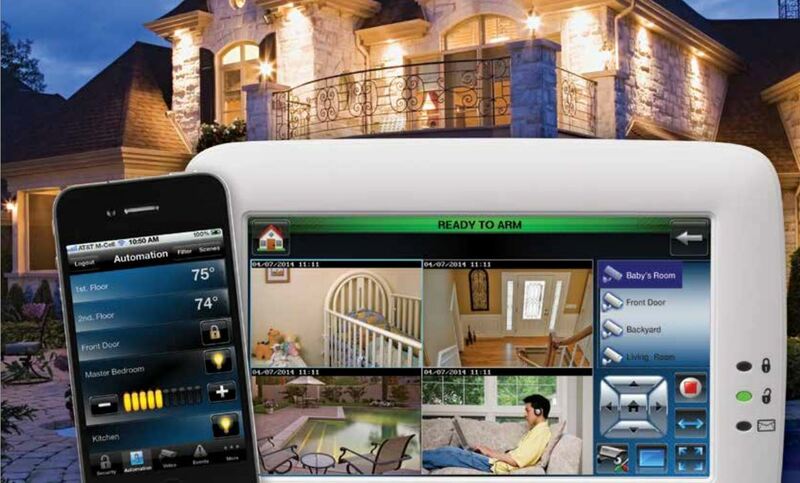 Alarmforce Security offers only basic home automation services. Armorax uses the award winning interactive platform provided by Alarm.com….in their standard system! Basic Alarmforce service with cellular interactive would cost an extra $178.99 up front…and about $200 a year more. Why should I choose an ADS Home Security System? Does alarmforce have systems for renters? Even though the company really don’t plainly identify that they’re not going to, just about all burglar alarm suppliers that deliver expert installation require home ownership. In the event that you happen to be leasing a property, residence or maybe condominium, you need to contact them specifically and may ultimately end up being required to supply documents with regards to landlord approval. For anyone who is rental, you might reference our own Guide to Apartment Security Systems – Best Apartment Alarm Systems for Renters. 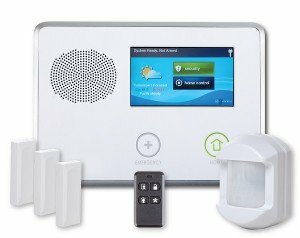 Is it required to get an alarm permit to connect an alarmforce security system? Strictly speaking, you don’t need a permit in cases where the system is not going to be professionally monitored. Having said that, since Your alarmforce security system is getting remotely supervised with the intent of utilizing emergency response services, a lot of local cities need to have a permit. Normally, this involves uncomplicated application with your town’s law enforcement or sheriff’s agency along with some sort of minimal charge. You will probably be expected to provide the name, address and phone number of alarmforce, along with the monitoring station, in the event that two companies happen to be different. And where permits are essential, generally cities will demand a one time service fee to enroll an individual’s system, while some cities will want an annual renewal too. When it comes to municipalities with higher criminal offense or false alarm rates, failure to register may result in a refusal to respond to locations which don’t possess a security alarm permit…although this is certainly rather unusual. Nevertheless, you may be subject to greater fines in cases where law enforcement, fire or perhaps emergency medical assistance end up being dispatched to a location with no permit with regard to municipalities in which one is requested. Even though a licence is generally purchased, for the most part communities probably will also assess fees for multiple false alarms. The majority communities now have protocols in place wherein the first couple of dispatches do not entail fines. and While most Alarmforce Reviews won’t reveal this, subsequent fines ,generally speaking. rise from $25-50 for the first enforceable offense…to $100-200 for consequent recurring infractions. Accordingly, it’s critical that alarmforce burglar alarm consumers speak with his or her own local area police department, discover what permits are required, acquire a comprehensive familiarity with the local guidelines and be sure that they take into account the compulsory simple steps for preventing false alarms. Even though most Alarmforce Reviews won’t bring it up, the vast majority of dispatches from homes with security systems spring from false alarms Because of this, a large percentage of municipalities enforce penalties and fees to residences every time they go beyond a particular number of false alarms. To guard against this happening to you, the following are some recommendations to avoid a false alarm with your Alarmforce system. • Make sure everybody knows the way to disarm the burglar alarm. 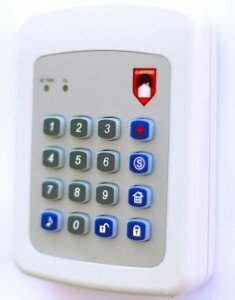 Your security alarm will have a master passcode, along with a number of supplemental user codes that can programmed into the system. Try to make sure everybody knows his or her code along as well as the procedure to disarm the home security system. • Make it a point that everybody also is familiar with the security password. In the event of an alarm, the central monitoring station will generally call your house to start with and request a security password. If the man or woman replying to the contact could not provide the exact security password, the authorities will likely to be dispatched. • Determine that all windows and doors are properly secured before arming the system. A door that has been left a little bit ajar may very well be blown open when you are away from the home and set off the alarm. • Ensure that all sensors are mounted correctly and in the required positions. Motion sensors have to be mounted at a height of 6’ in locations that are well removed from fans, heating units, fireplace and air conditioning. • Consider items which may possibly trigger a motion sensor. It’s not just the pets that create problems. Air conditioners could cause fluttering drapes or plants…and even helium balloons that could be transported within the home due to air currents. Make sure they are strapped down removed from motions. • Preferably, pets ought to be confined to locations away from motion detectors. Any time that’s feasible, you’ll find “pet friendly” or “pet immune” sensors which are able to screen out smaller pets under 40, 50 even 80 lbs. Motion detectors could also be set up to create pet alleys where by pets may move freely about. The other option is to utilize glass break detectors in lieu of motion detectors. • It is best to switch out batteries when required. The majority of security systems make use of Li-Ion batteries which generally have at the very least a 2 year anticipated lifespan. Your alarmforce Security system will ordinarily notify you as soon as batteries are getting low and continue to issue warnings once there is less than approximately 1 month of functional life. It is wise to get additional batteries handy and remove and replace them right away. Your system will likely warn you in case there are any other failures of sensors. In the event that you receive a system error alert, conduct a status check to check out the sensor. Get hold of Alarmforce Customer Service whenever it seems to be broken. Make sure that your user manuals/codes/passwords in a very secure chosen location specifically where they can be consulted when necessary. But, the best way to avert false alarms is by using your system routinely and make certain everyone is familiar with how to operate the system. Does alarmforce help me save on insurance? Yes…not only will installing AlarmForce save you money on premiums, but it can help you minimize losses if you are burglarized. Many insurance providers extend rate reductions on homeowners insurance when your home is protected by a monitored alarmforce security system.Typical price reductions range from 5-20% in accordance with the type of security system along with the level of services that happen to be supplied. A few AlarmForce reviews have mentioned that they had to request a certificate of installation to provide to the insurance company…so make sure you get yours. Also, be sure that your agent knows whether or not things like fire, flood and freeze protection has been included in your system. alarmforce should provide a certificate of installation conveying the types of services for which your system is monitored. When picking a home security company to help safeguard your family , we recommend finding a nationwide security provider which covers the entire country. Alarmforce s a regional provider. No one wants a long term contract and have to fight to get out of it of they are relocated to an area which the company does not service. 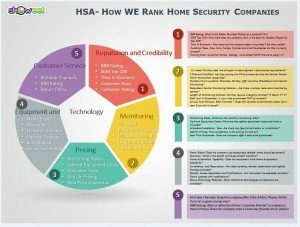 Before signing a long term contract with alarmforce, you may want to look into some of the nationwide security providers in our best home security companies list. If you already have an alarmforce system, please share your experience and rate them in our AlarmForce Reviews. Will alarmforce be easy to control? alarmforce has advanced dramatically during the past decade. Not to mention one of many best things about innovations with regard to technology is the fact that providers place a lot of concentration on making the systems easier to operate. Most companies, like alarmforce, now work with slick user interfaces which you’ll find easy-to-use and guide the user through capabilities such as arming, disarming, bypassing zones etc.. They have fully built-in interactive smartphone software equipped with home automation functionality that allow you to manage the home from any place in the world using computer access. Several companies are incorporating voice control functions with the aid of their own equipment, Google Home or Alexa. This enable you to execute most typical operations merely by giving a suitable voice instruction. Although you might find Alarmforce reviews may indicate problems with installs, customer service or billing issues, you’ll almost never find alarmforce reviews that have gripes in which alarmforce is tricky to run.